Against reducing religion to belief. In biblical communities, awe (Wettstein prefers "awe" as a translation of the Hebrew yirah rather than "fear") is more important than belief, because belief is concerned with cognition, while awe is a matter of one's whole life. Wettstein reminds us several times throughout the book that it is quite possible to engage in real and fruitful practices without firm knowledge of the metaphysical fundamentals, as we do in mathematics. The late physicist Richard Feynman once said that he lived in and among numbers. Wettstein quips, "If one were to ask Feynman about the reality of numbers, I imagine him unhesitating in his affirmation. If one were to ask, in a philosophical vein, about their existence as abstract entities, I imagine him scratching his head in wonder about what exactly was in question." It is one thing to be able to use mathematics competently, and quite another to have knowledge of the metaphysics of numbers. Do numbers exist? Are there Platonic forms of numbers? We have theories about the metaphysics, but we don't know for certain. And most of us don't need to know. 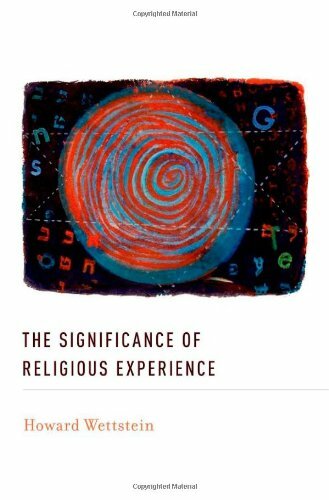 Wettstein suggests that it is much the same in religion: "I have known people with a genuinely deep grasp of religion 'from within'; only some of them have any taste or feel for philosophy." Thankfully, Wettstein is blessed with both a grasp of religious practice and a "feel for philosophy." What is surprising is that someone as passionately in favor of religion and religious experience as Wettstein should fall so solidly in the naturalist camp. "Naturalism" is a broad term, but it entails a refusal to make the supernatural a definitive element of the world. This has often meant reductionism—that is, the reduction of all supernatural terms to natural terms, like trying to explain religion entirely in terms of neurology, cultural norms, or evolutionary psychology—or eliminativism, the attempt to simply eliminate supernatural talk altogether. Wettstein argues that naturalism simply makes sense to us, living in this age. It is hard not to think like a naturalist in a time when the natural sciences are ascendant and lab coats have all but replaced albs and chasubles, but naturalistic reductionism and eliminativism miss the heart of religion. One of Wettstein's intriguing suggestions is that philosophers of religion might have missed it, too. Philosophers have come to treat God as a concept to be cognized, abstracting God from biblical religion and from the literary and liturgical life of the communities to whom God most matters. In giving this abstract God-concept so much of our attention, philosophy has neglected the practices of religion almost altogether. As Wettstein puts it, "Concern with what seems fundamental—the existence of God—often has been all-absorbing, and I would argue, distracting." That is, distracting from the real work and life of the religious community. The danger is that we turn God into a thing we find in the world, a resource at our disposal. Religious epistemology takes center stage, focusing on legal notions like warrant, justification, duty, and obligation. Arguably, much of the scientism that informs one version of modern atheism is the offspring of this legal-epistemological approach to philosophy of religion, where religion is evil because religious belief is irresponsible, unscientific, or indefensible. We often speak of the biblical narrative, and narrative is another aspect of the Bible's literary character. The Bible's characteristic mode of "theology" is story telling, the stories overlaid with poetic language. Never does one find the sort of conceptually refined doctrinal propositions characteristic of a doctrinal approach. When the divine protagonist comes into view, we are not told much about his properties. Think about the divine perfections, the highly abstract omni-properties (omnipotence, omniscience, and the like), so dominant in medieval and post-medieval theology. One has to work very hard—too hard—to find even hints of these in the Biblical text. Instead of properties, perfection and the like the Bible speaks of God's roles—father, king, friend, lover, judge, creator, and the like. Roles, as opposed to properties; this should give one pause.